I cannot wait until spring arrives! Today is cold and rainy, but we had a few days last week where the temperatures hit 70 degrees – that’s all it takes for me to start wistfully dreaming about warm sunny days, birds chirping and spending time out in the garden. Springtime also brings Easter, and there’s nothing I like more than to decorate Easter eggs with my boys. 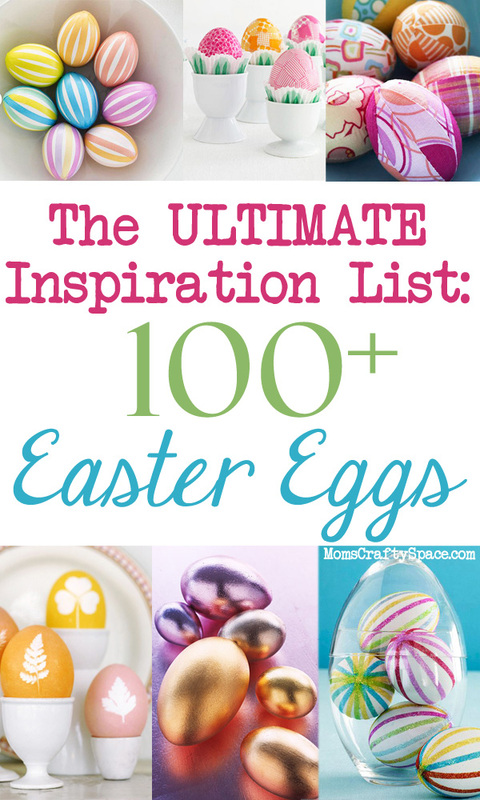 I’ve rounded up OVER 100 ideas and inspirations to kick-start the egg decorating season this year – enjoy! Wonderful, wonderful round-up!! Flattered to see that Kelley of Eight by Five was inspired by my Silhouette Egg tutorial. They came out beautifully. What a great list!! Thanks for sharing. Great round up, Heidi! Love it! All I can say is Wow – what a treasure this is!